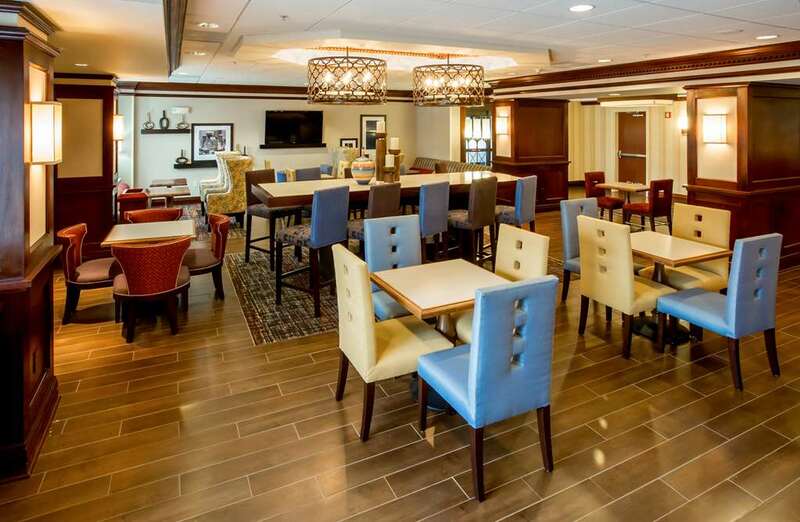 The Hampton Inn Coventry-Warwick Area RI hotel is a five story hotel featuring 124 elegantly appointed guest rooms. The hotel is located in Coventry Rhode Island in the Warwick Rhode Island area. Complimentary amenities include high-speed internet access local and 800 phone calls in-room coffee and On the House hot breakfast buffet. Take advantage of our indoor heated pool and whirlpool spa in addition to our state-of-the-art fitness center. Within one-eighth mile enjoy dining at Cracker Barrel Applebee*s Denny*s and Wendy*s as well as number of local dining choices from casual to fine dining. We love having you here in Rhode Island at the Hampton Inn Coventry-Warwick hotel.